Independence is an attribute of man, the social being; it should not be viewed as the development to perfection of a natural, biological attribute of living matter. All exploiting classes, after all, constitute a reaction against history; they are the target of revolution. 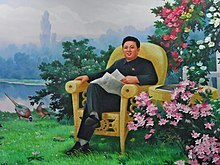 Rodong Sinmun (25 December 1995) "Respecting the forerunners of the revolution is a noble moral obligation of revolutionaries"
Variant: I know I'm an object of criticism in the world, but if I am being talked about, I must be doing the right things. 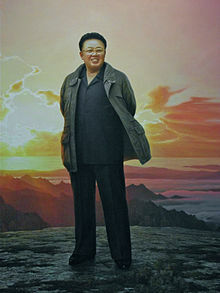 "North Korea Dear Leader Kim Jong Il: "I'm an Internet expert too"". Ars Technica. 2007-10-05. Retrieved on 2008-01-01. North Korean song, "No Motherland Without You"
North Korean military anthem, "Thunder Over Jong Il Peak"
North Korean popular song, "The Dear General Uses Chukjibeop [Distance-Shrinking Magic]"
This page was last edited on 30 June 2018, at 01:48.